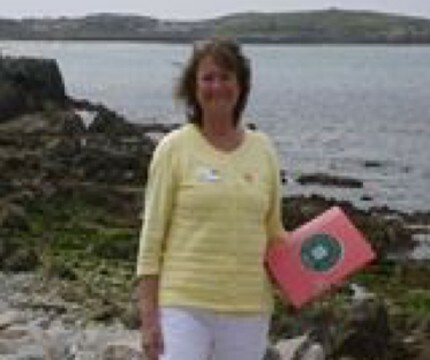 I have been a guide in Guernsey for over 20 years. Meeting people from all walks of life and showcasing beautiful, historic Guernsey is a pleasure. You may wish to amble through St Peter Port absorbing stories about the buildings, folklore, privateering and heros from Guernsey’s past or visit our exciting Castle Cornet, perhaps walk the cliff path and experience its breath-taking coastal beauty. Let me guide you around Herm Island, steeped in history and stunningly beautiful. Discover Guernsey’s unique and quirky ways. Bespoke walks can and have been created around any part of our coastline and cliff paths for any length of time. Please ask if you wish to focus on any part of Guernsey or our sister islands of Herm or Sark.